So you are thinking about moving to Seattle? Making the City of flowers your home city? Well, that’s great! Being surrounded by both mountains and water on two sides makes Seattle a beautiful city to live in. But before you make such a big decision, there are a few things you should be aware of. There is a reason why another nickname for Seattle is Emerald city. It rains. It rains all the time. It’s not heavy rain. Seattle has annually less precipitation than New York or Boston. But, the raining is pretty much constantly nine months of the year. So be prepared to make your umbrella and gloomy weather your new daily companions. Do you have a dog? Well, take him/her to the dog paradise. Seattle is extremely dog-friendly. Having more dogs than children, Seattle has made sure that their pooches are well taken care of. 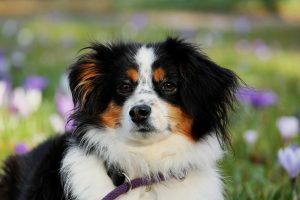 Numerous off-leash dog parks, running trails that are dog-friendly are just some of the many benefits revolving around our furry companions that the city of Seattle provides. You can take your dog with you shopping at one of many outdoor malls. He can ride with you on public transportation. You can join your friends in a restaurant without having to leave your dog at home. And when you work, you can leave him at a doggy daycare center. Really, if you want to make your dog happy, Seattle is the place for you. Coffee is a big deal with Seattle people. Numerous studies show that the people of Seattle consume more coffee than any other city in the US. That is just one of the reasons why Seattle is considered the coffee capital of US. Having Starbucks world center located in the city also helps that consideration. People of Seattle are caffeine crazy. Starbucks alone has 104 stores in the city, and that’s not counting the other coffee makers. Besides stores, there breweries and roasters located in every area, so if you want to try making your own coffee, you are in the right place. You will soon start enjoying your daily java with the rest of your fellow citizens, just try to not get addicted. But who are we kidding, you will. Everybody does when they move to Seattle. That’s just one of the stages of becoming a Seattleite. Beside being coffee addicts, being well read is a known trait of people of Seattle. With that, besides Starbucks, Seattle is home to Amazon headquarters. 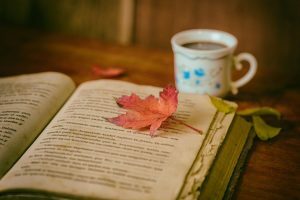 At the end of the day, coffee and books just go together. 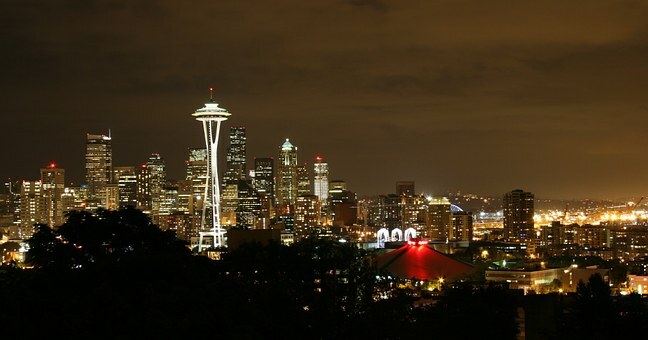 Seattle gets annually ranked by Amazon as Americas #1 out of Top 20 most well-read cities. Having a lot of young intellectuals living in Seattle, you should probably read a book or two before you start making friends. Seattle is a big city. And with almost every big city, come big traffic jams. If you plan on moving to Seattle with your car, expect hourly delays during rush hour. Even if you get through the traffic, the parking’s gonna rob you poor. It would be a smart thing to consider public transportation. Especially if you are moving here from a smaller town. 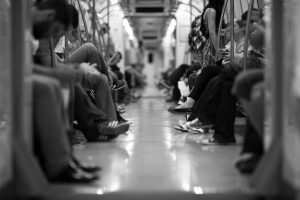 Living in a city as big as Seattle is an experience, and you shouldn’t skip the subway part of it. Join your fellow citizens in drinking your morning Starbucks and reading your favorite book while riding the subway to work on a gloomy, cloudy day. Get the full feeling of a Seattle morning. Being as big as it is, finding work in Seattle can be an issue. Maybe you’ll be lucky and land the dream job the moment you move in, but more often than not you’ll be looking at months of applying for jobs and going on interviews. It’s not so much that there is no work. There is. Besides Starbucks and Amazon, Microsoft and Nordstrom both have their headquarters situated in Seattle. But there are a lot of young people looking for jobs, and the competition is fierce. On the other hand, if you are thinking of starting a business, consider if deciding to move to Seattle is the right move. No income tax sounds great, but having high sales tax may come around to bite you. If you have new and exciting ideas about the coffee industry or dog care, or you are looking for a lot of young and skilled programmers to hire in your IT company, great. Seattle is the place for you. Otherwise, you might want to reconsider. One of the downsides of moving to Seattle is that Seattle is not cheap. Average for a two bedroom apartment being $2.109, utilities being $155 and monthly transport being $97 are just some of the future financial headaches you will have. Therefore starting a business is Seattle is a financial risk. Expect that the first couple of months will be tight and that you will need to dip into your savings account if you want to make ends meet. Some things, like groceries, are cheaper than the national average. But all in all, living in Seattle is an expense. Is Seattle the city for you? Great! Let’s talk about packing and moving now. Your moving to such a big city shouldn’t be a spur of the moment kind of thing. You should have enough time to properly and carefully pack your things. The first thing to consider is what are the things that you actually need to take with you. Moving from city to city is expensive, and not carrying unnecessary items will save you a lot of money. Whatever is not necessary, don’t pack. If you get your life together when you move to Seattle, you will have enough time and money to buy all the things that you leave behind. Pack with care and label everything. When moving to Seattle you will need help. It is not a one-man job. Hiring a good moving company is vital. If you have friends that can help you pack and load the trucks, great. If not, consider moving companies that offer packing services. There are companies that can just pack you, but combining packing and moving in the same company is financially vise. 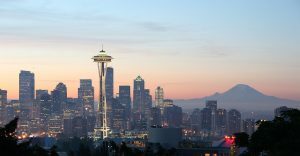 Is moving to Seattle right for you? If all that sounds good, go for it kid! Have a cup of Starbucks for us! ← Inside Hawaii’s music business – should you give it a go?